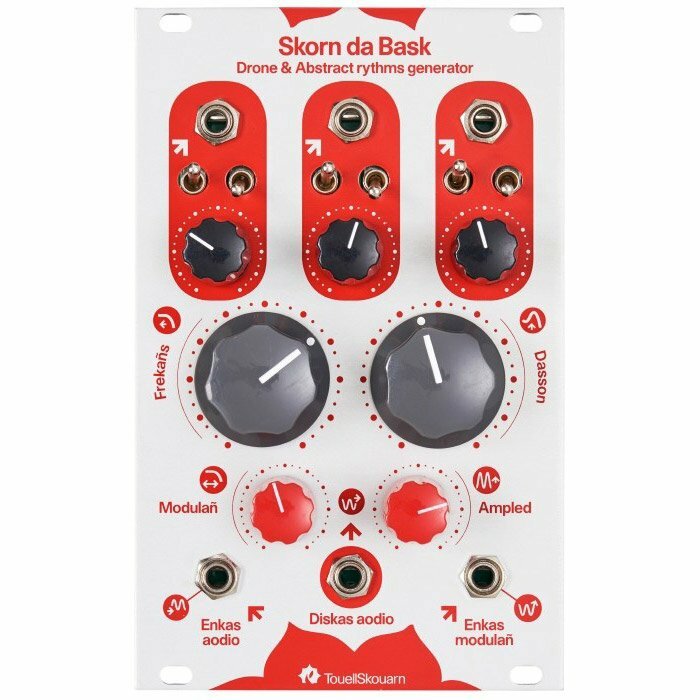 Drone & Abstract Rhythm Generator – The Skorn Da Bask is composed of three analog sawtooth oscillators and a Resonant Low-Pass Filter. As well as generating audio signals, each VCO can be routed to modulate the VCF’s cutoff frequency. 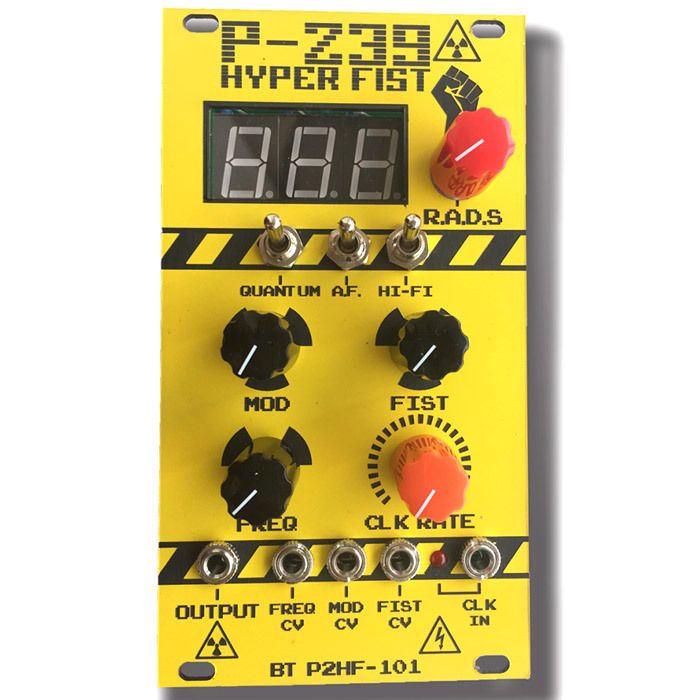 The filter is also able to process external signals and modulation. 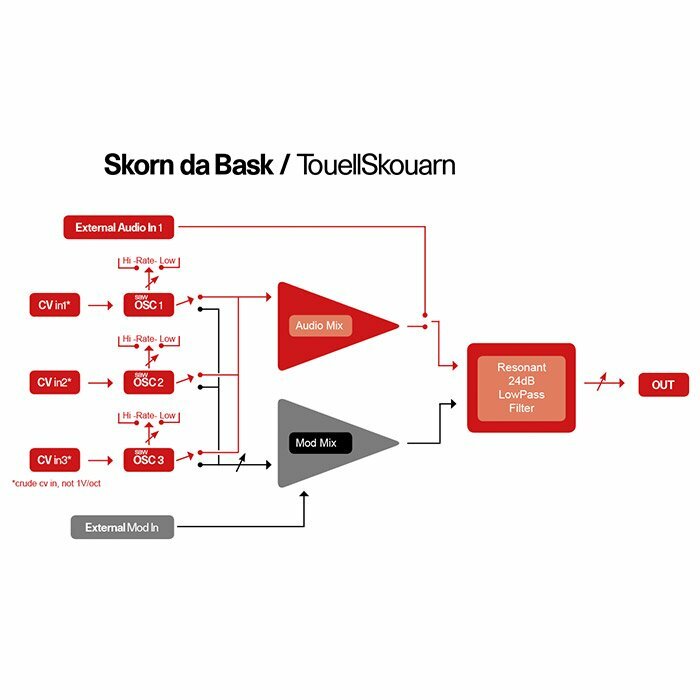 In true TouellSkouarn fashion, the Skorn Da Bask distorts like hell and is perfect for creating dirty, experimental sound structures and abstract rhythms. The front panel of Skorn da Bask shows three areas highlighted in red. These zones contain the connectors and control elements for each of the three oscillators. 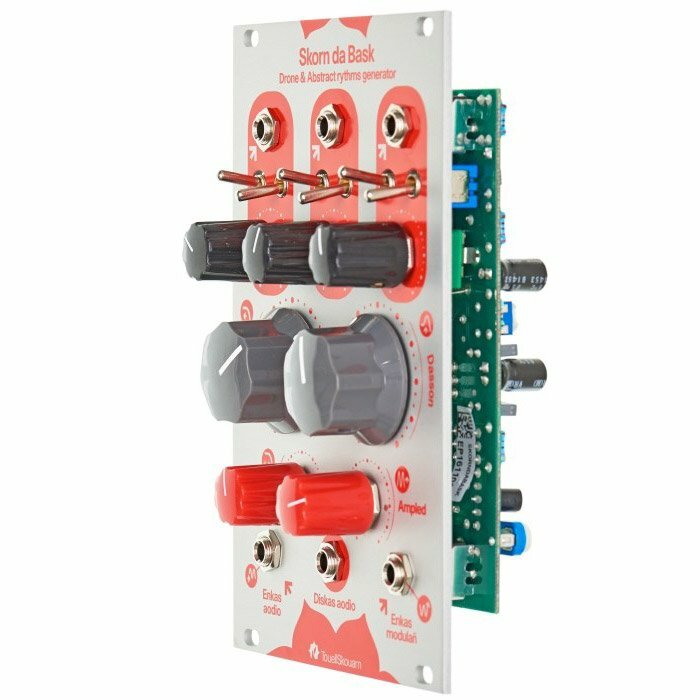 Each VCO comes equipped with a pitch CV input, a tune potentiometer and two switches – one to switch frequency range between low and high and one to switch individual VCF modulation on or off. In detail, the oscillators can be connected to the audio or CV input of the filter. 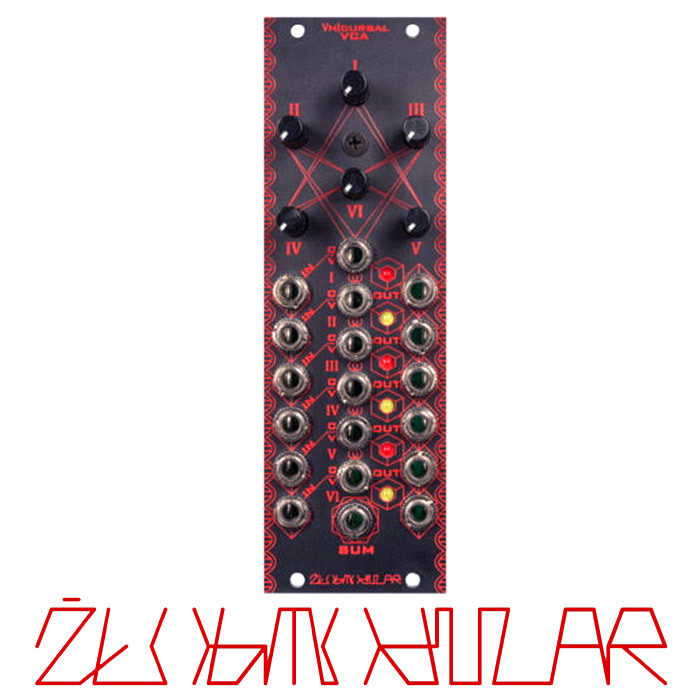 Thanks to their range switches, each VCO is able to work with audio or low frequency rates. 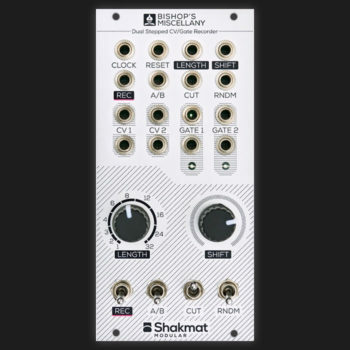 The oscillator pitch inputs does not follow the standard 1v per octave – After all, Skorn Da Bask is not an ordinary oscillator module, but an experimental sound generator. 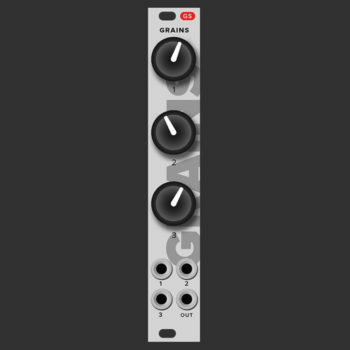 The Low-Pass Filter features a slope of 24 dB per octave.The ‘Freqañs’ knob controls the filter cutoff while ‘Dasson’ sets the resonance. For processing external signals, there is an audio input with attenuator. As long as a cable is plugged into this socket, the VCOs are disconnected from the filter’s audio path. The filters frequency can also be modulated from an external source via a CV input. The audio output is equipped with a level control knob – high settings lead to juicy overdrive effects. Trim pots on the rear of the module allow you to adjust the oscillator and filter levels as well as filter resonance.